Yellow Autumn Leaves on a Tree Branch against the Bright Sun and Blue Sky. Autumn day in the park. 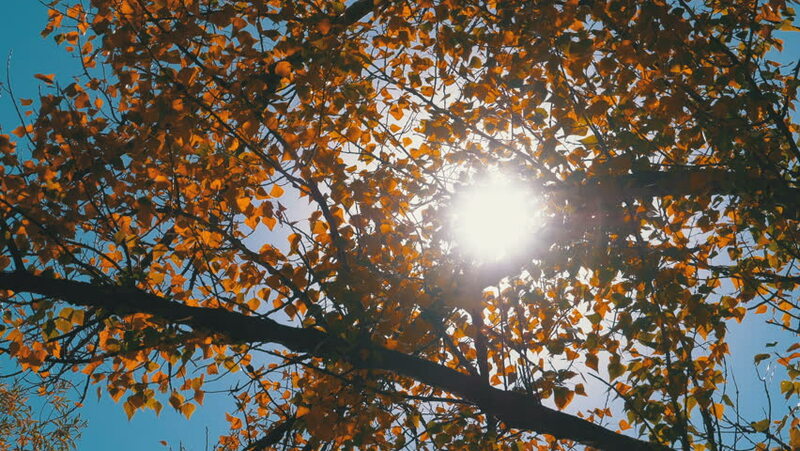 Sun shining through yellow leaves. Golden autumn. Beautiful background. 4k00:12Brown, yellow and golden leafs on a Beech trees in the fall. Upwards view with the camera rotating.